England batsman Ian Bell has been included in Warwickshire's side to face Nottinghamshire in their final Championship match of the season. Bell, 30, has returned for the Trent Bridge game, which starts on Tuesday, after his involvement in the Test series loss against South Africa. The Championship winners also welcome Chris Woakes and Jeetan Patel back. But they will be without Will Porterfield and Boyd Rankin who are on international duty with Ireland. 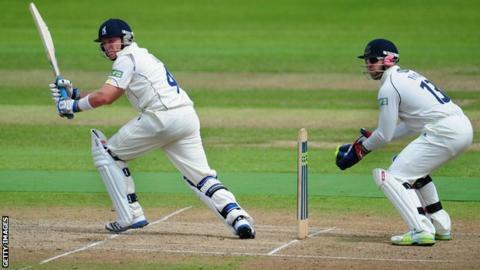 Wicketkeeper Richard Johnson, recently recalled from his loan spell at Derbyshire, will remain in the Warwickshire side. However, the club are optimistic that first-choice keeper Tim Ambrose will be fit for Saturday's CB40 final against Hampshire at Lord's.